3D printing | Color Ink, Inc. Here at Color Ink, we delve into all sorts of unique projects. 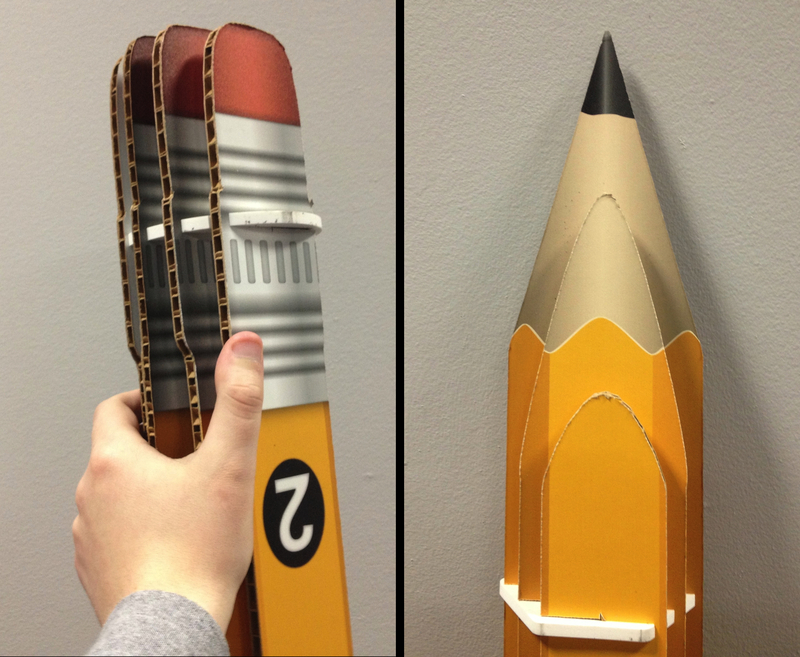 Our most recent undertaking is an over-sized, three-dimensional pencil intended for use in ‘back to school’ displays or other educational settings. Made of quarter-inch honeycomb board, our giant pencil is four inches wide and measures a hair under six feet tall. Yes, it’s probably taller than you. Let’s take a peek! Only two inches shorter than Green Bay QB Aaron Rodgers, our pencil is roughly ten times larger than your standard #2 yellow writing apparatus. A closer view of the eraser and pencil tip. Notice the scale. Interested? Looking for a quote? Please contact our sales reps at 262-246-5000. 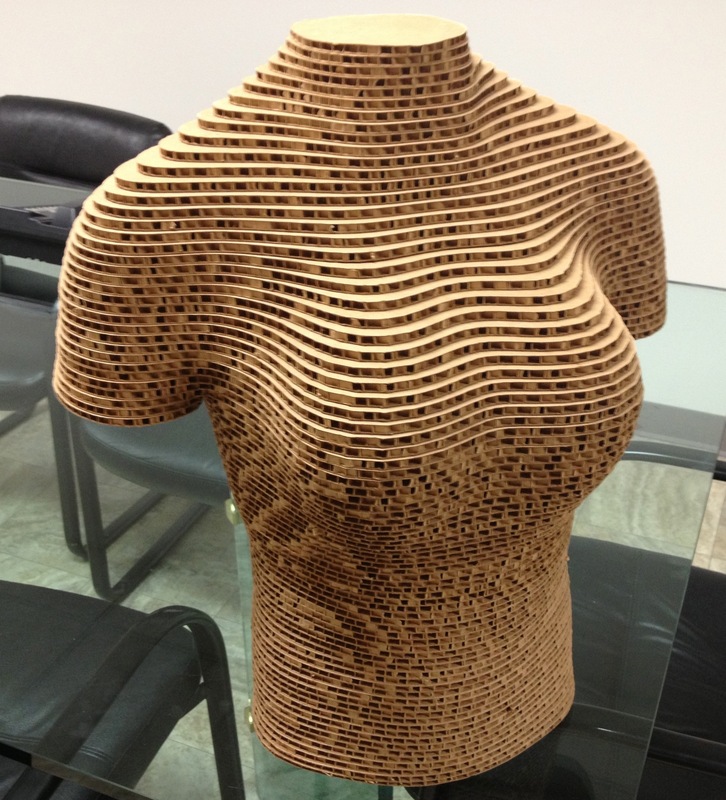 Color Ink is pleased to announce our newest innovation in three-dimensional printing: introducing 3D corrugated mannequins. Lightweight with an unique look, these mannequins are perfect for indoor displays at retail outlets. 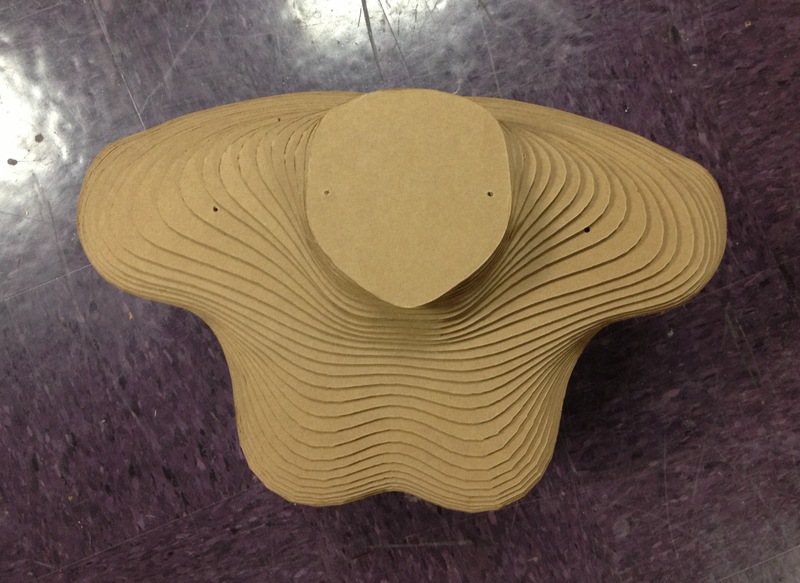 Our mannequins can be made from a variety of materials (corrugated cardboard, foam core, etc.) and can be altered to any dimensions to fit your company’s specific preferences. 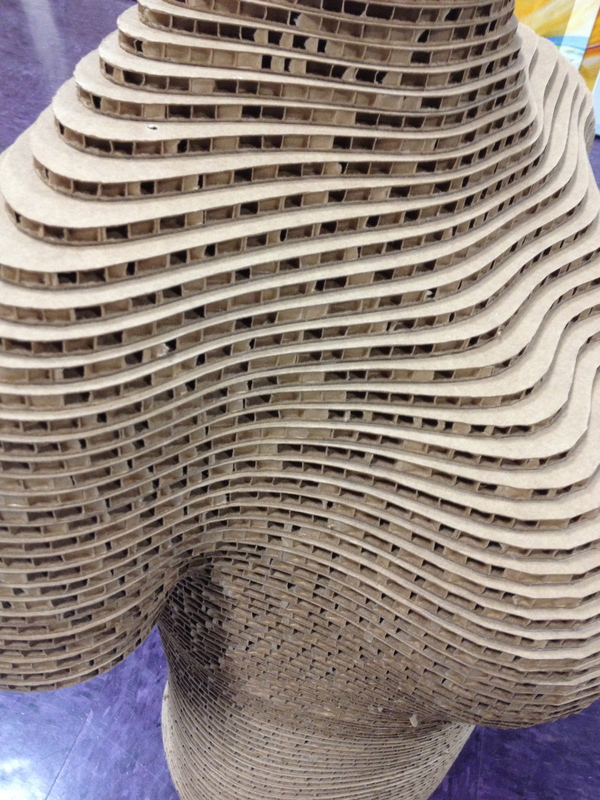 Change everything from the height of the mannequin, thickness of the material, number of layers. . . you name it. Need a full body mannequin? No problem. We have the ability to shape and transform almost any object and turn it into a high quality, three-dimensional masterpiece. Made from several materials, including corrugated cardboard as shown above, Color Ink’s 3D mannequins are eye-catching additions to any store.